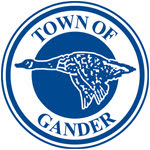 Tim Barnes won the August 4 Commander Gander 5K in 19 minutes 13 seconds. The 10K winner was David Freake in 33:34. Click the following links for 5K RESULTS and 10K RESULTS.